I am proud to announce that I’m now a HootSuite Solution Partner. I’ve been a Hootsuite Pro client for a little while now and the flexibility that it affords in monitoring my social channels has been an eye opener and a real asset. 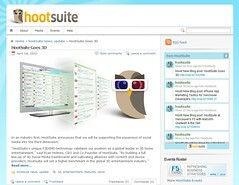 In late 2012 HootSuite hit 5 million users, including 79 of the Fortune 100 companies. Along with HootSuite’s web platform, 50% of users access the dashboard through their mobiles including iPhone, Android, Blackberry and iPad. HootSuite also offers localized versions of their dashboard in 13 languages – English, French, Italian, Japanese, German, Spanish, Portuguese, Chinese Traditional, Chinese Simplified, Dutch, Polish, Korean, and Indonesian. Collaborate: Invite clients and colleagues to participate in your social media management. Assign messages for follow-up and share streams, helping you increase efficiency. 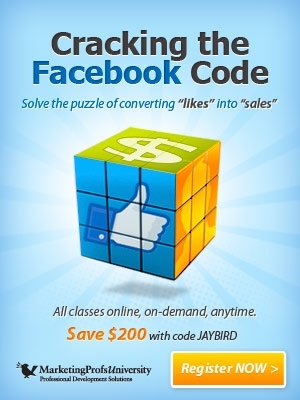 Please note that the link is an affiliate link.